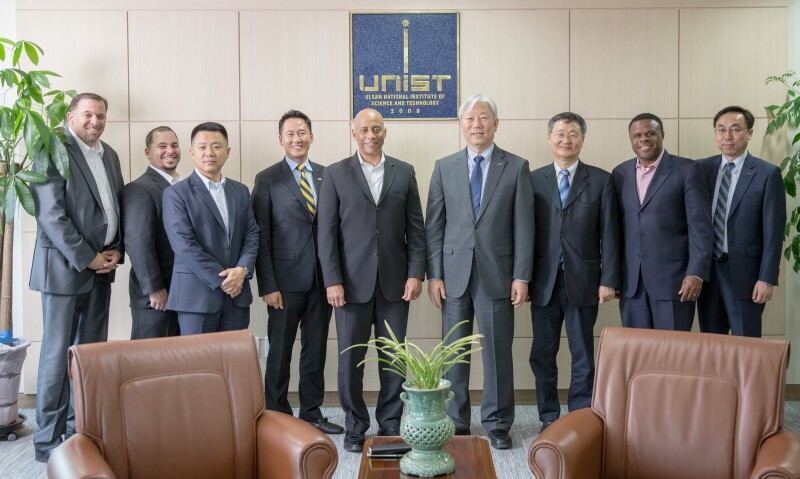 Dr. Reginald Brothers, the Under Secretary of U.S. Department of Homeland Security (DHS) visited UNIST on May 9, 2016. At the invitation of UNIST, Dr. Reginald Brothers, the Under Secretary of the United States Department of Homeland Security (DHS) undertook an official visit to UNIST in the afternoon of May 9, 2016. On the day of his visit to UNIST, Dr. Brothers also visited major research institutes in the City of Ulsan, including the National Disaster Management Institute (NDMI) and the Kori Nuclear Power Site, Korea Hydro & Nuclear Power Co., Ltd., (KHNP). One of the primary purposes of Dr. Brothers’ visit was to disucss ways to ramp up the bilateral cooperation on safety improvements in nuclear power systems and chemical facilities with the City of Ulsan. 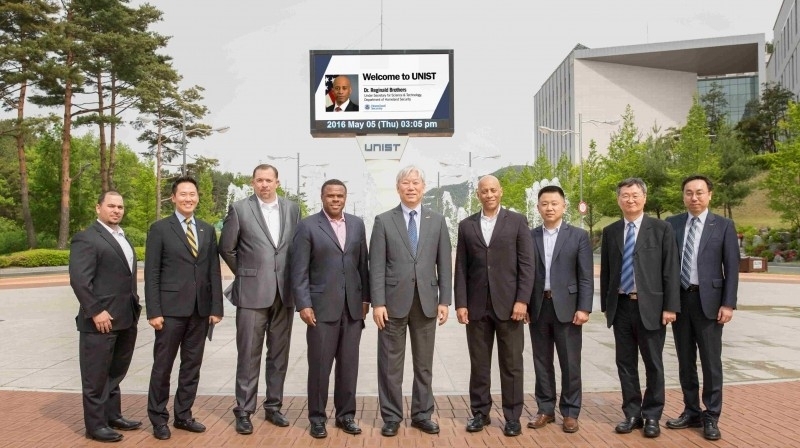 President Mooyong Jung (right) and Mayor Gi-Hyeon Kim (center) of Ulsan are having a special luncheon with the DHS Under Secretary, Dr. Reginald Brothers (left) on May 5th, 2016. During the official talks, which was held in a warm and cordial atmosphere, Dr. Brothers and President Jung also discussed ways to reduce risks associated with hazardous chemicals to facility workers and operators, communities, and responders. The Department of Homland Security is currently considering the City of Ulsan, as the global foothold for shipbuilding and offshore technology transfer and commercialization activities, as well as for joint research on disaster prevention and mitigation measures. Earlier, Dr. Brothers visited several organizations in Seoul, including the Ministry of Public Safety and Security (MPSS). This meeting has been organized by UNIST, with the support of the City of Ulsan.